Goes beyond next-generation technologies and protects against the full range of threats. 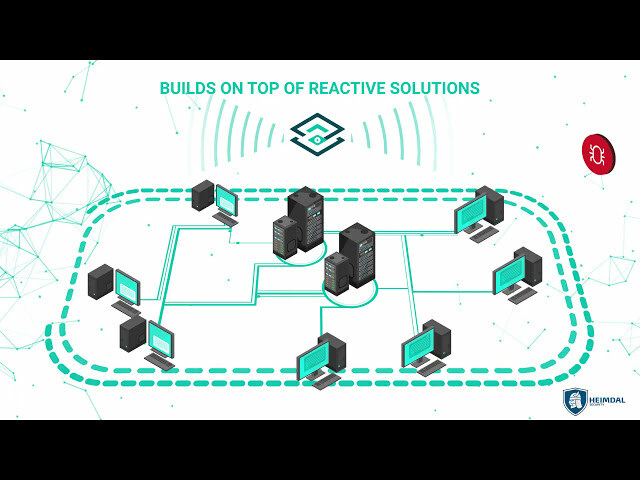 Progressively filters out threats using the most efficient technique for maximum detection without false positives. Updates definitions daily to check for even the newest of threats. 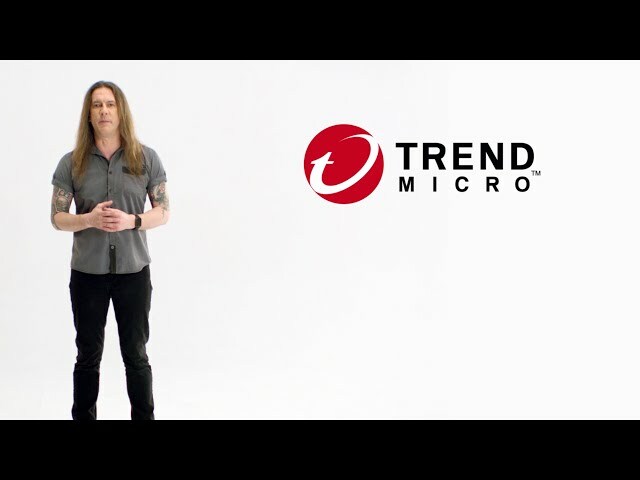 Trend Micro is built for numerous applications, and built to run on platforms from Mini PCs to Scaled Datacenter operations. Worry-Free Business Security - Why Trend? See how Deep Discovery and TippingPoint help your organization stop ransomware cold. Heimdal has been specifically designed to protect you from financial and data stealing malware, while doing banking operations and keep you safe from Zero Hour malware and security exploits frequently employed by IT criminals. Proactive protection is what you need to stop ransomware from encrypting your endpoints. Heimdal closes vulnerabilities and sanitizes your Internet traffic to stop ransomware from infecting your endpoints. Heimdal CORP prevents data breaches by blocking communication between malware and its C&C servers. By analyzing all HTTP, HTTPS and DNS traffic, Heimdal stops malware from harvesting confidential data from your endpoints. As a lightweight client, you can easily deploy Heimdal on all your endpoints, via MSI, no matter the size of your organization. Doesn’t impact your endpoints’ performance and Internet speed. Once you install Heimdal, you're good to go. Under the hood, Heimdal’s PROACTIVE engines are hard at work! To keep your apps from exposing you to cyber attacks, Heimdal updates them automatically. This blocks 85% of attack angles and makes updates hassle-free! To ensure that malware doesn’t infect your computer in the first place, Heimdal scans all your incoming and outgoing Internet traffic. When it spots a connection to a malicious website or server, it blocks it. This way, malware can’t reach your system and damage it. Traffic filtering also blocks malware from collecting your data and transferring it to cyber criminal infrastructure We’ve all had enough of data breaches! Heimdal does all this and more in a split second! All due to its intelligence and predictive abilities. No slowdowns, no hassle. DarkLayer GUARD is a 2-way traffic scanning engine that works on DNS, HTTP and HTTPs layers to block payload and malware delivery, execution and data exfiltration. It builds on top of reactive solutions to block Zero Day exploits, Ransomware C&Cs, data leaks and other new threats. Heimdal Security introduces DarkLayer GUARD for your Code Autonomous protection against advanced malware. ✔ Features actionable alerts and reports. Detect malware proactively, regardless of the attack vector! Heimdal Security introduces VectorN Detection for your Code Autonomous protection against advanced malware. Save time and energy by logging into your dashboard to set up and deploy Heimdal CORP! ✔ Achieve compliance with legal requirements by tracking the risks in your organization and closing them. X-ploit Resilience is a fully automated, low-maintenance software management tool that boosts security in any organization. It includes patch management and software installation and removal for critical apps across all of your endpoints. X-ploit Resilience includes versioning and is completely silent: no interruptions for users and no annoying reboots! Multi-Vector Protection provides a layered approach, including both static and dynamic detection techniques across the entire attack chain. This approach provides protection against all types of threats from traditional viruses to tomorrow’s advanced threats. Ensure immediate response capabilities in the event an infection does occur. Our proprietary Linking Engine provides complete and thorough remediation to return the endpoint to a truly healthy state while minimizing the impact to the end-user. Our cloud platform delivers Malwarebytes Endpoint Protection via a single, unified endpoint agent. Deployment and management is simplified delivering instant time to value while providing effortless scalability. Malwarebytes 3.0 is a next-generation antivirus replacement. Malwarebytes 3.0 is the first of its kind for home users, employing four independent technology modules—anti-malware, anti-ransomware, anti-exploit, and malicious website protection—to block and remove both known and unknown threats. Download the free trial at malwarebytes.com.